Everything you need to know about what changed for IQOS in 2018. 2018 was a year of recognition for heated tobacco, notably with the UK Government proposing to create a new category that is separate from conventional tobacco products like cigarettes, cigars, hand-rolling and other smoking tobacco. As a new and emerging technology, products in this category are called by a few different names. Heat-not-burn tobacco products and tobacco heating products are synonymous with heated tobacco. Electrically-heated smoking system or electric smoking system are also in use, but these are misleading since products in this category are specifically designed not to burn and therefore don’t produce smoke. In the UK, tobacco heating remains a relatively new concept. But imagine if you could enjoy the taste of tobacco without burning it? This is the thinking behind our IQOS heated tobacco technology. 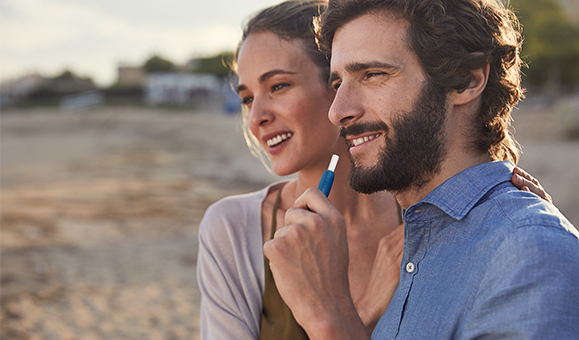 As the leading product in the heated tobacco technology category, IQOS offers a smoke-free alternative to continuing to smoke cigarettes, with little compromise on taste and experience. Let’s explore more of this and what IQOS delivered in 2018. How does IQOS heated tobacco technology work? First things first, let’s make sure we all understand what IQOS is and how it works. The IQOS device is comprised of an electronic holder and a charger. A tobacco stick, known as HEETS, slots into the top of the holder and, at the press of a button, it is warmed in seconds to release a tobacco vapour that generates on average 90% lower levels of harmful chemicals than found in cigarette smoke*. Each tobacco stick lasts for about 6 minutes or 14 puffs, similar to a cigarette. As the tobacco sticks don't burn, they don’t turn to ash, so they can even be recycled. What's more, the IQOS battery can be recharged after use so you can use the same holder up to 10,000 times. What does IQOS taste and smell like? Heated tobacco technology is used with real tobacco, so you can still taste the flavour of real tobacco. The temperature is electronically controlled so the tobacco doesn't burn and the taste is consistent. We offer a variety of different flavours in our tobacco sticks. The vapour from heated tobacco dissipates faster than cigarette smoke, so it doesn’t leave such a strong smell in the air, on your clothes or on your breath. How safe is the IQOS device? Thanks to more than 10 years of technological research, IQOS has been designed to ensure high safety standard and enjoyment. At the heart of the product is a glass-coated blade made of ceramic, incorporating gold and platinum tracks. This heats the tobacco stick. An advanced electronics system carefully controls the temperature of IQOS to ensure there is no combustion, and the holder will turn itself off if it starts to overheat. What about the look and feel of an IQOS? IQOS devices are designed to mimic the feeling of holding a cigarette. They're small, don't require a lighter because no burning takes place, and are available in a range of colours. A range of accessories is also available for IQOS tobacco heating products. For an up-close experience with IQOS to better gauge the look and feel of the device, adult smokers based outside of London can try IQOS at home through our online lending programme. Alternatively, smokers seeking an alternative to cigarettes can visit any of the official IQOS stores in London for a hands-on experience with one of our experts. The High Street Kensington store is testament to our company pledge to support and convert UK adult smokers, who would otherwise continue to smoke, to smoke-free products. The store in High Street Kensington opened in February 2018, not only offering smokers information to better understand how IQOS heated tobacco works, and advice about how they can switch to IQOS or IQOS MESH, but it also houses the first IQOS Lounge. This is the first IQOS co-working space in the UK offering IQOS users a chance to experience the brand in a vape friendly environment. The launch follows the opening of the first UK store on Wardour Street, Soho, in December 2016, followed by the second and third stores which opened in Westfield London and Boxpark Shoreditch in September 2017. The IQOS portfolio of products grew significantly in 2018 with the unveiling of the new IQOS 3 and IQOS 3 Multi. These next generation devices succeed the earlier 2.4 and 2.4 Plus models, revealing a new ergonomic design and improved features. IQOS 3 is 15% faster to charge compared to the IQOS 2.4 Plus. It has a compact design and is enhanced with the new ProtectPlus™ system for improved reliability and protection of your device. IQOS 3 Multi is our latest in HeatControl™ Technology. An all-in-one pocket-size device, that allows for 10 consecutive uses without recharging. Previous generation IQOS 2.4 Plus devices are still available, featuring vibration alerts, brighter status light and a more refined design than preceding models. HEETS are the tobacco sticks designed to be used exclusively with IQOS. As the tobacco to the tobacco heating product, accessibility to these is imperative to help those that convert from cigarettes to remain smoke-free. HEETS are now available in more UK destinations than ever, growing from a few hundred to thousands of locations. Alongside local independent retailers, HEETS can now be found in Sainsbury’s, NISA and BP. What’s more, vape stores are working in partnership with IQOS to deliver these alternative options to smokers that want to switch. These include the Vaporized website and over 110 Vaporized stores nationwide. If you’re an IQOS user, you can find where to buy HEETS using the Store Locator. 2018 also brought the expansion of the IQOS product portfolio with a new precision vaping device, exclusive to the UK, called IQOS MESH. This is the first IQOS device to heat a liquid rather than tobacco. IQOS MESH uses a unique technology designed to provide a consistent vape every time, with automatic puff activation providing a button-free experience. IQOS MESH is to be used only with specially designed VEEV flavour capsules, which are easily snapped on or off, so there’s no mess with refilling liquids for the e-cigarette. Why should I switch to IQOS from cigarettes? If you would otherwise continue to smoke, IQOS is likely to present less risk to your health than continuing to smoke, based on the scientific evidence to date**. For those who are seeking an alternative to cigarettes that does not use tobacco, IQOS MESH presents an easy-to-use e-cigarette with flavoured liquids. Is IQOS easy to buy? All IQOS products can only be bought by adult smokers aged 18 and above. Products are available online, in several official IQOS Stores around London as well as other retailers. You can find your nearest location on our Store Locator. New users can buy a Starter Kit that has everything you need to get going in one box. For IQOS, this includes cleaning sticks, a power cable and even a USB charger so you can plug it into your laptop. For IQOS MESH, this includes the device, cable and AC adaptor. Can I take IQOS to any country? When traveling with your IQOS, many countries have different regulations on the use of heated tobacco products – because they are a new category and one that is often confused with e-cigarettes. Countries such as Singapore, Thailand and Taiwan don’t allow the use heated tobacco products for instance. Some countries restrict the importation and use of electronic cigarettes too, so you need to be careful. Before leaving the UK, double check the destination laws to make sure you are fully informed. ** Source: Based on the totality of the pre-clinical and clinical evidence available for IQOS in comparison with continuing to smoke.